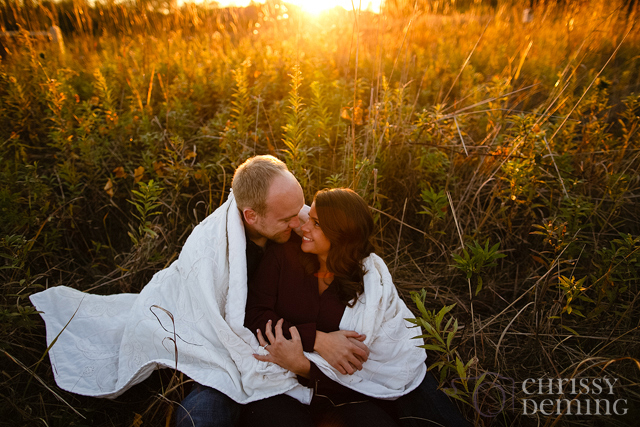 I'm still kind of on maternity leave, but I managed to squeeze in a few engagement sessions this Fall for some of my Spring wedding clients. I love being able to get outside and enjoy the crisp Fall weather, so it's been good to have a few sessions to look forward to without trying to juggle a newborn along with the normal insanity that October brings for us photographers (Keep going, my friends! You're almost there! ;) ). 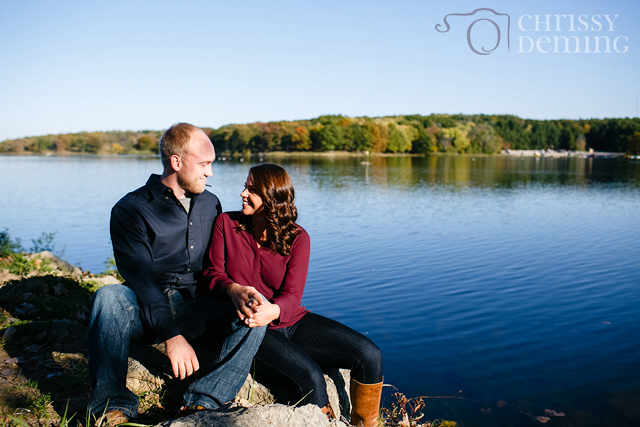 Chris and Karissa were so wonderful to drive down from Wisconsin for their session, meeting me in a place where Karissa used to camp as kid. Rock Cut State Park + adorable couple + Fall colors - freezing cold and rain = AWESOME. It was really tough for me to pick a favorite, but I'm thinkin' this is it!